We are a family-owned and operated business. 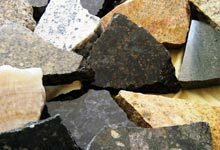 Each year, we design, fabricate and install hundreds of granite and quartz countertops. We also design and deliver many kitchen and bath cabinets. Our employees are dedicated to providing our customers with unparalleled quality and knowledgeable personable service delivered in a timely manner. Whatever you dream, we can deliver. 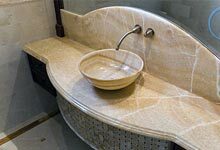 From the smallest granite vanity to a complete custom kitchen, we will work with your space and budget to find the perfect solution. At Design Plus, no job is complete until you are 100 percent satisfied. We do everything in our power to ensure you have exquisite results. 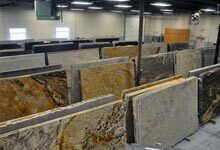 At Design Plus, we import directly and stock the finest granite and marble from around the world. Our man made quartz is sourced from the top international manufactures. Our cabinetmakers are family-owned Amish and Midwest companies who share our goals for quality and service. We use the best quality materials to create the finest quality products for our customers. Whether you’re interested in granite countertops, quartz countertops or cabinetry, Design Plus can help design and create your dream space. Based in Peoria, our company is committed to providing all of Central Illinois quality products and service with outstanding results. Your project is important to us. Allow the experts at Design Plus to become a part of your project and improve the value of your home. Contact Design Plus online today*.